It's 22:52 in Waterville, USA right now. 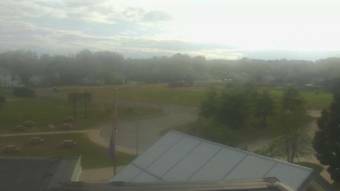 Waterville Senior High School Webcam and current weather data - camera location: Waterville Senior High School. Waterville, Maine: I-95 Southbound Near Milepoint 128.2, 0 miles away. Sidney, Maine: I-95 Southbound Near Milepoint 119.2, 8.2 miles away. Newport, Maine: I-95 NB Northbound Milepoint 159.1, 26.4 miles away. Richmond, Maine: I-295 Richmond Southbound, 33.1 miles away. Carmel, Maine: I-95 Southbound Near Milepoint 177.2, 33.2 miles away. Damariscotta, Maine: Panorama View, 36.3 miles away. Wiscasset, Maine: US Route 1 Southbound at Birch Point Road, 38 miles away. Edgecomb, Maine: US Route 1 Southbound at Route 27, 41 miles away.